As a top-rated orthodontic practice in the south Denver-metro area, serving Highlands Ranch and surrounding communities, we believe we have a unique experience to offer our patients. Even as we continue to expand our practice, we are able to offer personalized treatment in an intimate setting where each patient is very important. Our young team is passionate about serving the community with state-of-the-art orthodontic treatment options and contributing to the overall health and well-being of our patients. We are dedicated to "raising the bar" for quality orthodontic care in Highlands Ranch. In 2013, Karlin Orthodontics patients and their families acknowledged the outstanding care provided by Dr. Karlin and his team and voted Karlin Orthodontics the "Best of the Best"in Highlands Ranch, Colorado. In 2014, Colorado Parent magazine readers voted us the #1 "Family Favorite" Orthodontist in Highlands Ranch. In 2017, we celebrated 10 years of bringing orthodontic excellence to Highlands Ranch! For the 5th consecutive year (2014-2018) Dr. Karlin has been named a Top Orthodontics Top Dentist by 5280 Magazine! In 2018, Dr. Karlin became the #1 Invisalign Teen Provider in Highlands Ranch. To set a higher standard for quality orthodontic care in Highlands Ranch by providing our patients the best possible service through individualized treatment options, good communication throughout the treatment process, and a focus on overall health. To make a positive difference in the lives of our patients and their families, as you are our top priority and the reason we continue to practice quality orthodontic care! Dr. Karlin is certified by the American Board of Orthodontics (ABO), the only orthodontic specialty certifying board recognized by the American Dental Association. 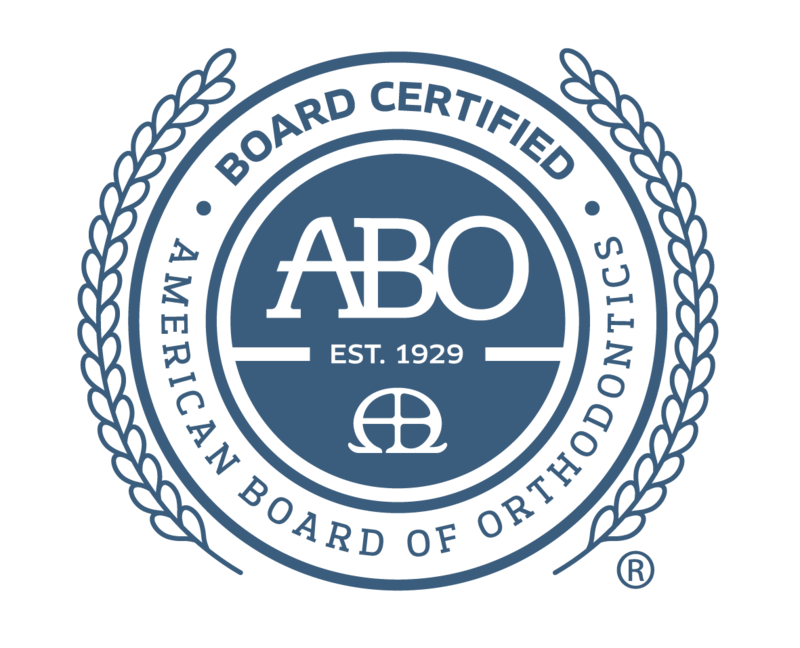 Less than 50% of practicing orthodontists in the United States have taken the steps necessary to become board-certified. We take pride in treating each patient and their orthodontic needs on an individualized basis, considering personal goals and timing issues in conjunction with the array of orthodontic treatment options that are now available. Dr. Karlin prefers an intimate practice where he can give each patient his complete attention and thus provide the best orthodontic result possible. Through our use of advanced technology, we are able to offer higher quality care to our patients. Computer technology enables us to focus on our patients and not on tracking paper files. Additionally, digital imaging and digital radiography (x-rays) minimize exposure to harmful radiation, and also help provide patients and parents with a better understanding of treatment options. Overall, we believe that a paperless office and digital imaging enable higher accuracy of health records, better communication with other dental professionals sharing patient care, and higher quality treatment. Quality care takes time, careful planning, and good communication. Communication with the patient and the patient’s family is essential from the very beginning when treatment options are evaluated with Dr. Karlin, and the treatment plan is agreed upon by the patient and/or guardian. Each step of the treatment process and patient progress is discussed so that everyone is well-informed and expectations are met. Patient questions and feedback are encouraged. We enjoy getting to know our patients on a personal level, and keeping up with school activities and athletic teams, etc. We promote a relaxed, fun environment where patients and their families feel comfortable. Our younger patients especially enjoy participating in office contests. A beautiful smile and healthy teeth go hand-in-hand with a focus on general health. Dr. Karlin not only improves the aesthetics of your smile, his treatment improves bad bites (malocclusions) resulting from tooth or jaw misalignment. Patients with malocclusions tend to have a harder time brushing, flossing, and chewing, as well as TMJ soreness. Additionally,we will give you and your general dentist regular updates on your oral hygiene and health. Quality orthodontic treatment together with routine dental care help to ensure that teeth will function correctly and stay in proper alignment for a lifetime.